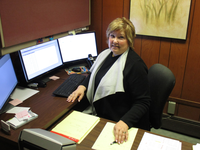 Our Staff - Johnson Insurance Agency, Inc.
Donna started her insurance career in 1991 and joined our agency in 2011. She is a Certified Insurance Counselor (CIC) and a Certified Insurance Service Representative (CISR). Donna has her insurance license and can help you with any insurance related questions and provide you with the right coverage at the right price. Jay joined the firm in 1976 and is co-owner of the agency. 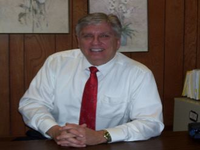 He is a Certified Insurance Counselor and specializes in Commercial and Transportation related insurance coverage. 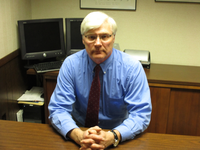 He also has considerable experience in personal insurance protection. Jay has extensive insurance and risk management experience. He can answer your questions and has access to insurance companies that provide you with the services and coverages you need at competitive prices. Chris joined the firm in 1980 and is co-owner of the agency. He is a Certified Insurance Counselor (CIC). Chris understands your questions and can provide you with the coverage you need at competitive prices. To learn more about the advantages of working with an agent who has achieved this level of knowledge and experience, please contact us. Pat joined the agency in 1984 and is co-owner of the firm. He earned his Certified Insurance Counselor (CIC) designation in 1999. 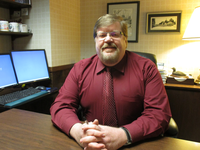 Pat specializes in Personal Lines Insurance and also has a very comprehensive knowledge in Business, Life, Health, and Long Haul Truck Insurance. Pat understands that every client's protection needs are different. Providing the right insurance, at the right price and giving you outstanding service is his number one goal. 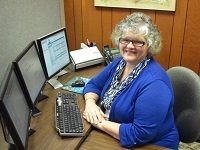 Barb joined our agency in 2010 as our bookkeeper. Since that time, her position has expanded and now includes customer service duties for our transportation related clients. Teri Joined Johnson Insurance in 2015. 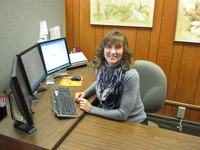 Prior to joining our agency, she was director of the Waupaca Senior Citizens Center since 1991. Teri is well equipped to provide excellent customer service for our business and commercial related clients. 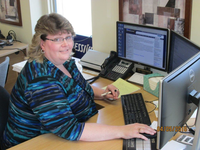 Lisa started her insurance career in 1985 and joined our agency in 2013. Her duties include providing superior customer service for our personal lines clients and providing back office support for our agency. 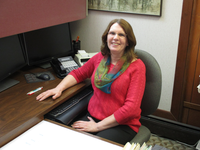 Doria started her insurance carrier in 1982, including 15 years at Johnson Insurance. She rejoined our agency in 2017 and enjoys providing the best customer service experience possible for our personal lines related clients.